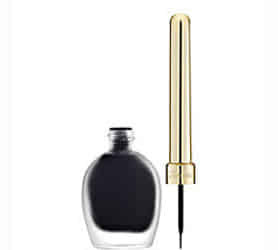 Line and define your eyes with the GUERLAIN collection of eyeliner. The range of fluid liquid liner, kohl and pencil liner finishes any look to perfection. Each highly pigmented eye liner has long wearing tone that you can build up or smudge to create a wonderfully smokey eye. Create intensity and depth whether creating a subtle, blended line or a dramatic stroke. Experience GUERLAIN calligraphy for the eyes.